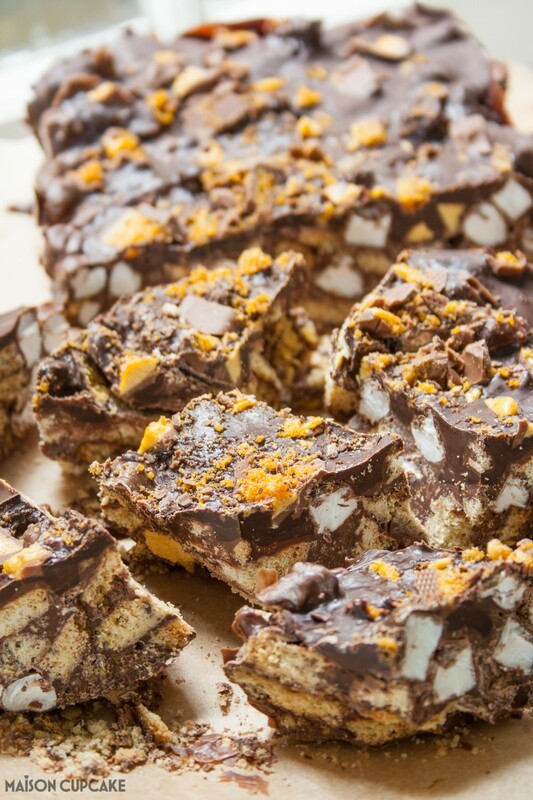 These easy no bake recipe chocolate rocky road bars include chopped up Crunchie bars to add a shimmery golden topping of broken up honeycomb pieces. 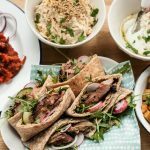 This recipe was commissioned by Oxo to demonstrate their new squeeze and pour jugs. 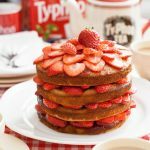 I won’t pretend this recipe is nutritionally advantageous to anyone but if you’d be eating a couple of chocolate biscuits for elevenses anyway, how much worse can it be? I do love a rocky road with smashed up biscuits and marshmallow combined with chocolate and these robust little bars have a long life in a sealed tin so there’s no hurry to eat them. Although I seem to have been doing a good job of it. 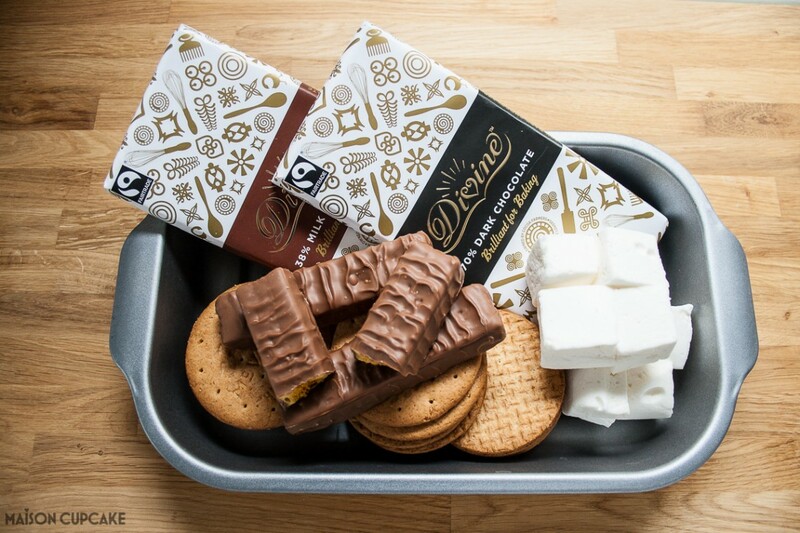 Just 4 ingredients are required; digestives, marshmallow, chocolate and Crunchie bars. You can use big marshmallows cut up into smaller pieces although if I’m honest after taking this picture I switched for mini ones because I couldn’t be bothered faffing. It’s a long time since I’d bought any Crunchie bars. 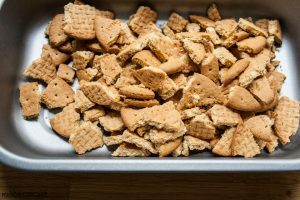 If you wanted you could make your own hokey pokey honeycomb and choose alternative biscuits. Speaking of honeycomb, these honeycomb silicone measuring cups* that I introduced in my recent Bramley popovers recipe, are Oxo’s Squeeze and Pour Jugs*. These are one of my most favourite kitchen accessories in ages. They come in 3 sizes, 250ml, 500ml and 1 litre and I love that you can stack them inside each other so they don’t take up much storage space. They’re clearly marked with metric, imperial and cup measures and being silicone means they’re unbreakable. The honeycomb design means that when you melt hot ingredients in them you can pick them up straightaway from the microwave. Their squeezability also makes it easy to control the speed with which you pour out the contents. I might have to acquire a few spares so they can double up as measuring cups for recipes. My gadget obsessed son Ted was especially taken with them and insisted we make a video talking about all the Oxo products we’d been sent. The batter dispenser with a non drip valve was another big hit although Ted thinks we should store ketchup in it. 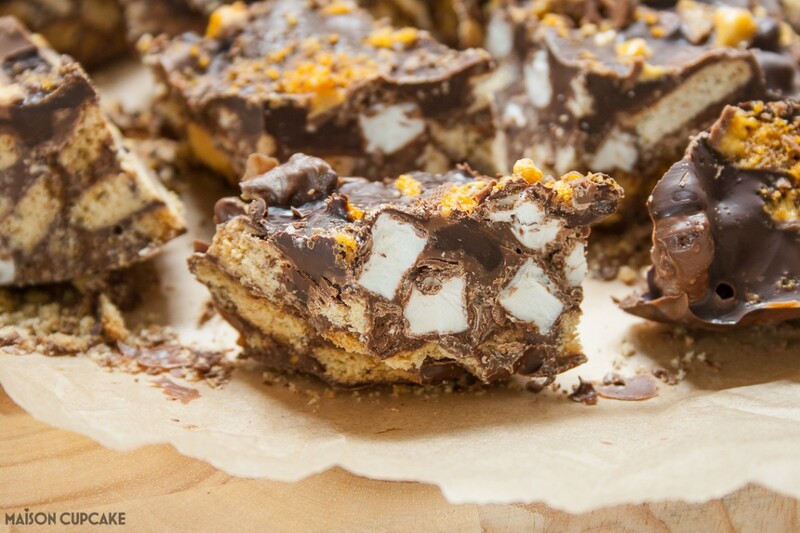 This Crunchie rocky road recipe is very easy to make with children as it’s a no bake recipe. All you do is melt the chocolate in the microwave and stir with dry ingredients. Technically, whether or not you should melt chocolate in the microwave is a moot point. Although I do use a double boiler* method sometimes too, it feels like less washing up if you microwave it. Microwaving chocolate does risk creating scorched spots – which makes a fearsome burnt smell in your kitchen and ruins the chocolate. 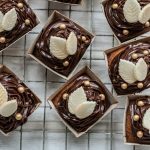 However my experience overall is that if you heat the chocolate for 2 minutes on medium heat then some shorter spells on low with a stir in between, that you will avoid the problem of burning chocolate in the microwave. 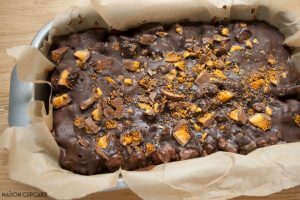 I put an extra layer of dark chocolate on top – this fair trade Divine chocolate really is quite divine here – and scattered with chopped up Crunchie bits. There’s a printable version of the recipe to take away below. How do you melt your chocolate? 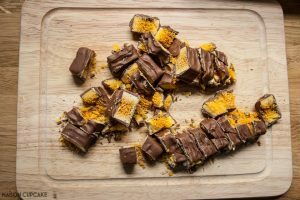 Set aside around one quarter of the Crunchie pieces to use later. 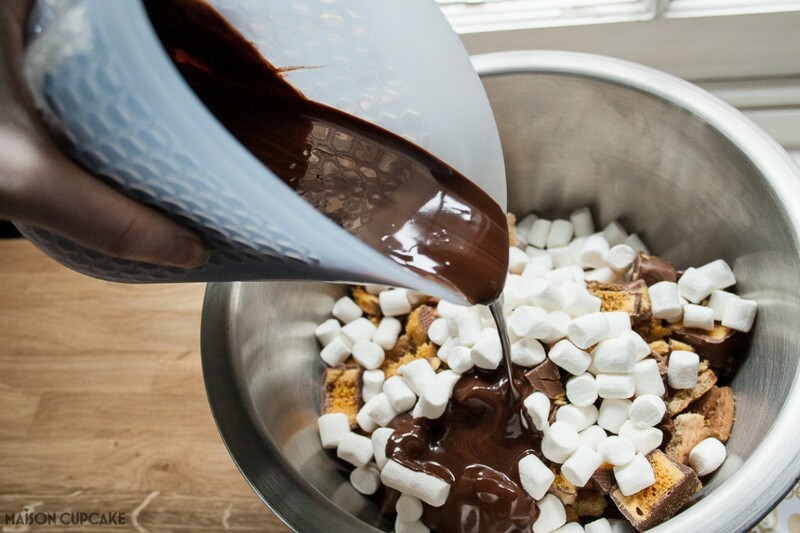 In a medium size mixing bowl, mix the melted chocolate with the digestive biscuits, marshmallow and Crunchie pieces. Stir until well combined and set aside. Tip the mixture into the tray lined with parchment paper. 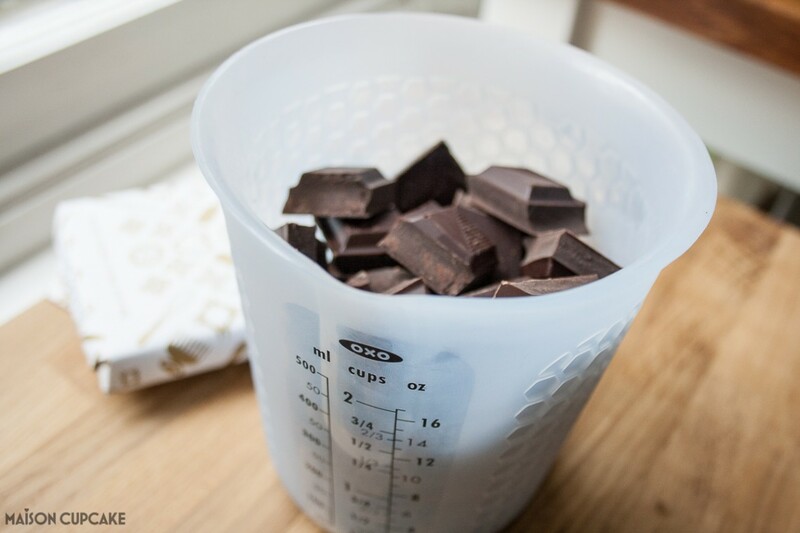 Melt the remaining chocolate and pour over the top coaxing it evenly on the surface and into big "wells". Cut the remaining Crunchie pieces into smaller shards and scatter over the wet top layer of chocolate. When completely cool put in the fridge to chill and go firm. 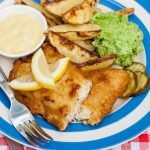 Serve sliced into wedges with a sharp knife. 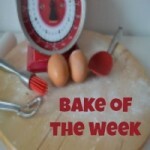 and Bake of the Week hosted by myself and to be rounded up by Helen at Casa Costello. *Affiliate links used. 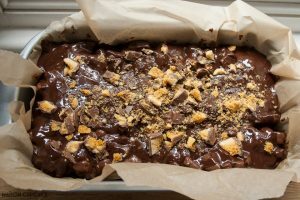 Crunchie Rocky Road Bars recipe post commissioned by Oxo. Those silicone measuring cups look really useful, and also squashable for my over stuffed cupboards. I’d also like a batter dispenser for perfectly evenly sized pancakes! He’s a QVC presenter in training!! 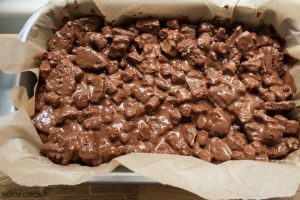 So dont laugh – but I have never ever made rocky road. Is that sad especially how easy it is to make? Been daydreaming of getting my hands on those silicon cups since seeing them on social media a month back. You lucky thing. The cups are great! I definitely want more as they’re so practical. Haha Ted is hilarious! 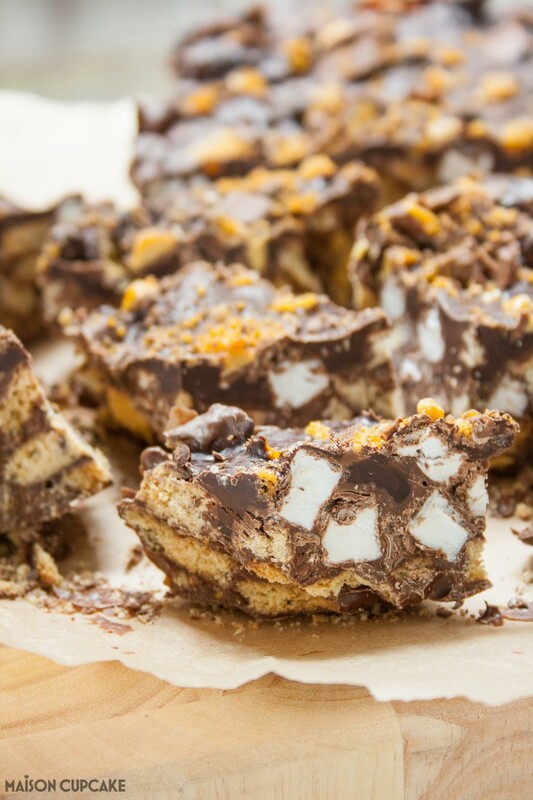 This rocky road looks unbelievable – I haven’t had a Crunchie in years but you’ve made me crave one now. 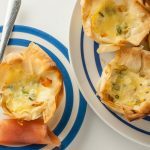 I bet these are so fun to make with kids! 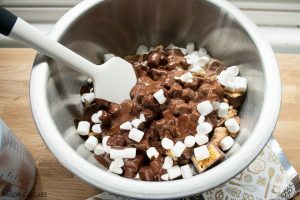 I’ve never made a rocky road before, but I can see that I’m definitely missing out! 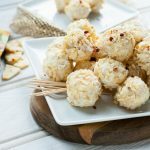 They’re very easy and far too easy to eat! I’m not a massive fan of rocky road but I think these will change my mind! 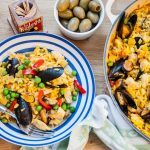 So easy to make too. I need one of these right now, they look so good! 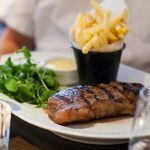 Thanks for linking up with Treat Petite!